Big plans for 2014. After a wet weekend dragging tyres on Dartmoor. 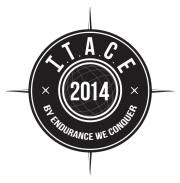 I've been selected for a place on the Imperial Trans Antarctic Centenary Expedition 2014. An ambitious expedition to attempt a crossing of Antarctica via Shackleton's proposed 1914 route. When it comes to celebrating the human spirit, 2014 is going to be a special year. August 2014 will mark exactly 100 years since Sir Ernest Shackleton KCVO and his extraordinary team set out on one of the biggest and most ambitious polar journeys ever attempted.In 1914, as war clouds gathered over Europe, Shackleton was laying plans for an epic expedition; the first ever trek across the Antarctic continent, travelling 1800 miles from sea to sea. He intended to sail through the uncharted waters of the Weddell Sea to Vahsel Bay before trekking by foot towards the geographic South Pole. From there his team would proceed towards the Ross Sea, destined for a rendezvous with their ship and victory.Unfortunately disaster struck and Shackleton’s ship was crushed by sea ice, leaving his team stranded in the freezing wilderness. By saving the lives of all 28 of his men, Shackleton’s leadership and survival skills have become the stuff of legend, but his intended course across the Antarctic continent remains uncompleted. Until now. With the patronage of Shackleton’s granddaughter the Honourable Alexandra Shackleton behind us, in 2014 we plan to tread in the great explorer’s intended footsteps, realising his polar ambition and capturing his spirit of adventure for the 21st century. It will be the first time Shackleton’s route will have been attempted– honouring and celebrating just what it takes to push the limits of human possibility. Lots of training, preperation and fundraising in store for the next couple of years. 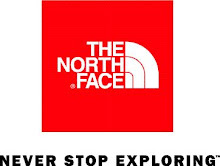 Please have a look at the expedition website www.south2014.com. and support us in any way you can. ElCap Report 10/27/18 Last report of the Fall season. Manchester University Mountaineering Club winter courses weekend 2017. FUNdas, Assessments and Training oh my! Last forecast of the season. Massive day climbing on Braeriach! Washed out from the Cullins, but happy.